This freelancing job is one of the easiest income-earning job opportunities. You just sit back at your home and work easily and in a flexible manner. In this freelancing jobs, there are no fixes and scheduled hours. There are no fix days of working. You can work 7 hours in a day. It is you who decide your number of working hours. It will be you who decide and finalize that for how many days in a week you will be working! We know that females of Pakistan want to have secure and safest job options for themselves. They at times do not prefer in-house jobs. That is why these days most of the women are doing work from their homes and this is what we call a freelancing job. This is a secure job option. Females work from home. In this freelancing job, females of Pakistan do not have to go out. They sit at their homes and complete their assignments. This option of acting as a freelancer, it gives them many benefits without a doubt. Females find an option to save their traveling and fuel cost. They remain flexible while they are working. Doing these freelancing jobs, they can take break at any time. They can have off during any weekday. This is not a contract based job. If you feel like working, you can do so. If you want to take a month break from your freelancing job, you can do that too. 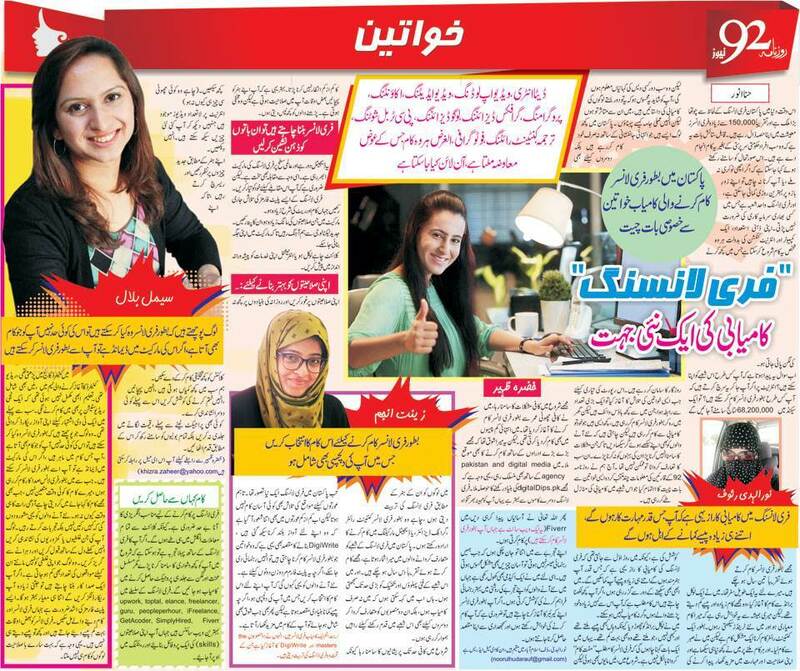 How Pakistani Women Can Become a Freelancer? There are so many feasible freelancing opportunities. You can start from scratch if you do not have any freelancing experience. The simplest freelancing work is this data entry work. It is a simple and convenient typing job. Beginner and fresh freelancing people first start their career from data entry work. Then with the passing out years, you can try out the tasks of doing video uploading and video editing. If you have a computer background then freelancing tasks linked with programming and graphic designing as well as logo designing can be done by you. Many of the freelancing assignments are related to PC troubleshooting. You can do simple in form content writing job. In this job, you will be given titles and then you have to write a piece of an article against that title. Articles can be of 300 words, 500 words, 1000 words. In this content writing job, publishing comes as well. You just choose your niche area and then you can look for content writing jobs linked to that niche. Then we have academic writing freelancing job. In this writing job, you get professional bachelor and masters level assignments to be done. Subjects of management, HR, accounting, finance, psychology are included in these set of assignments.